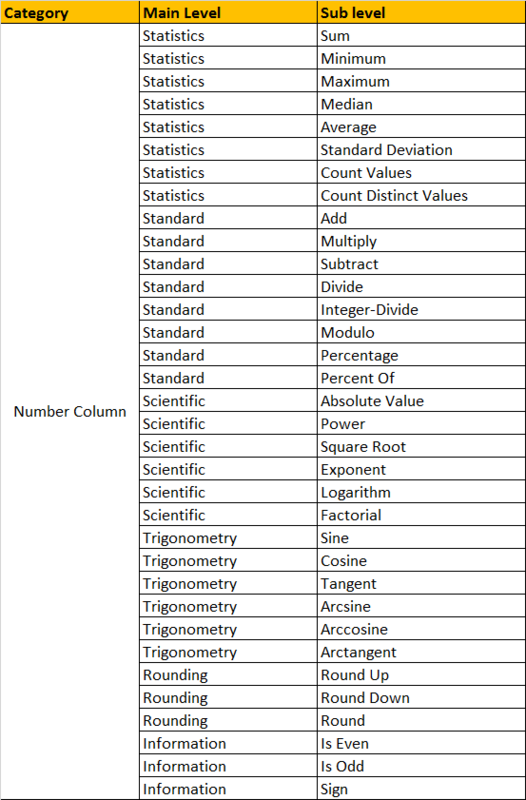 This article talks about the pre-defined transformations that we can directly use in Power BI Desktop. 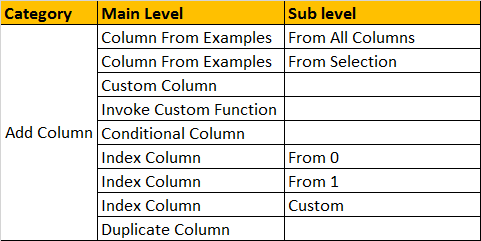 These transformations are part of Power Query Editor. As a business intelligence developer, usually we spend most of the time to prepare the dataset for report and dashboards. Preparing the dataset includes, getting the data from different sources, data modelling and transform the data. 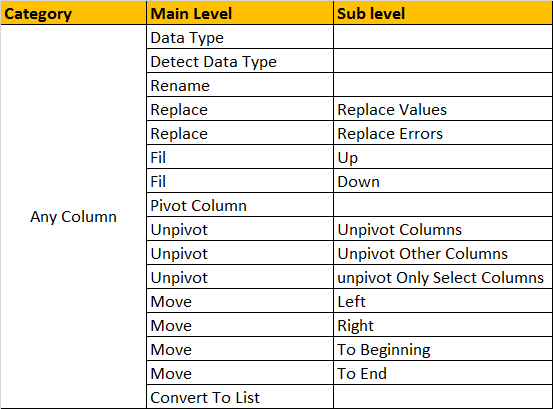 Data transform is applicable for both rows and columns. 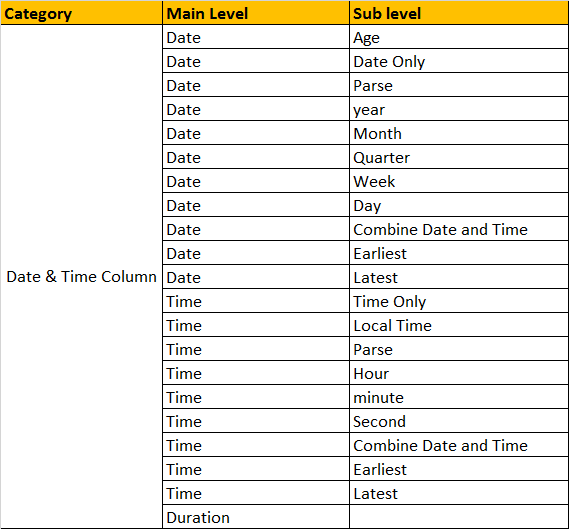 Check the list of pre-defined transforms in Power BI Desktop. These transforms are grouped into different categories. There any many situations where we need to combine the tables and queries. 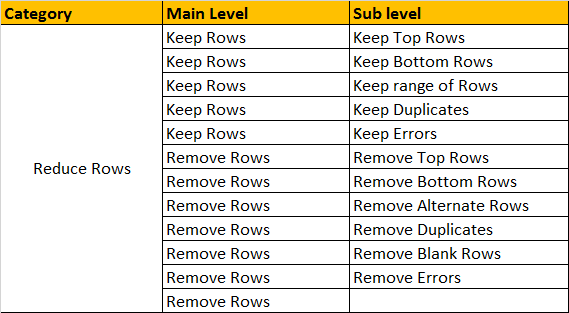 To handle those scenarios, we can use the below options in Power BI. We also have R script which we can use to perform any complex transform or logics with the data. 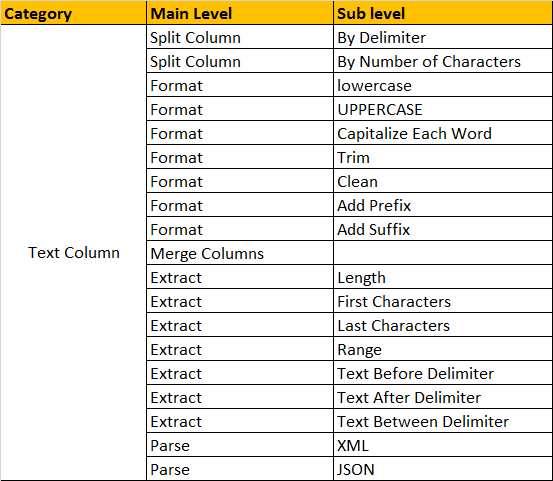 Apart from the pre-defined options still we can do complex logics with M language (Power Query Language). Happy Learning & Share your comments.